About 90% of the time, whether I’m riding alone or with a group, we’re following a route that I designed on Ride With GPS. Since the first time I used it, about three years ago, I’ve become well-versed in designing low-traffic, scenic routes that make everyone happy (at least until the 10,000th foot of climbing). So it was refreshing to follow a route designed by someone else, in this case, Doug. I didn’t know what to expect, but it turned out to be a great route. Here’s the route, with full GPS, of course. We started from Doug’s place in Woodstock. 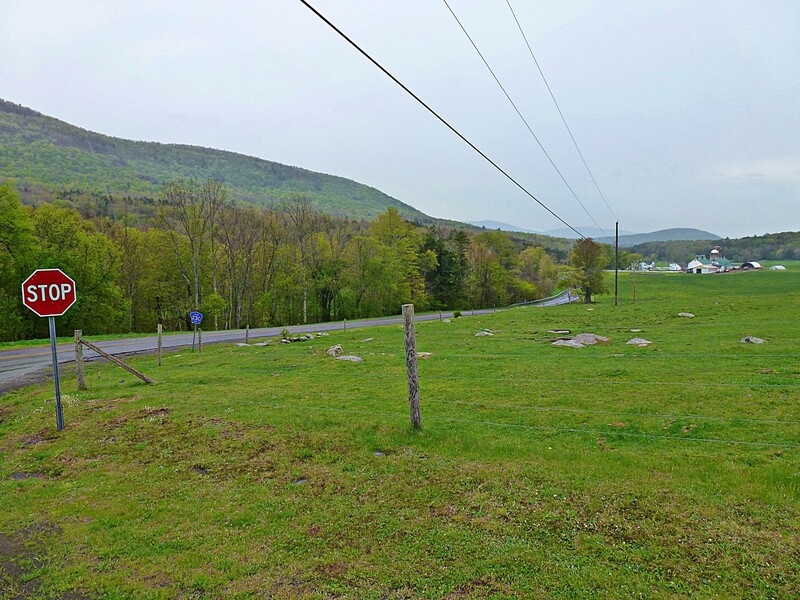 You could also start this route from Stone Ridge, Kingston, or any of the surrounding towns. 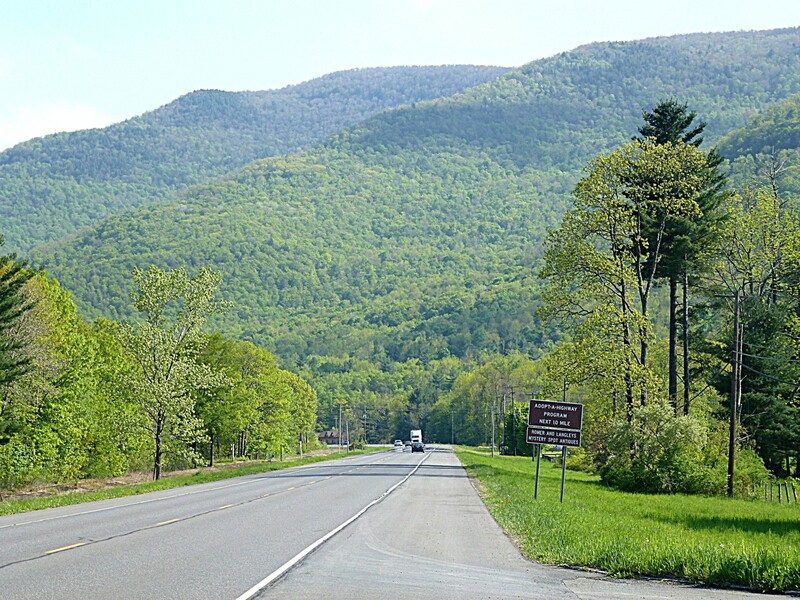 We headed east out of town, and then north on Glasco Turnpike and West Saugerties Road, crossing the dreaded Platte Clove Road on our way to Palenville. As you can see, everything has gone blindingly green. 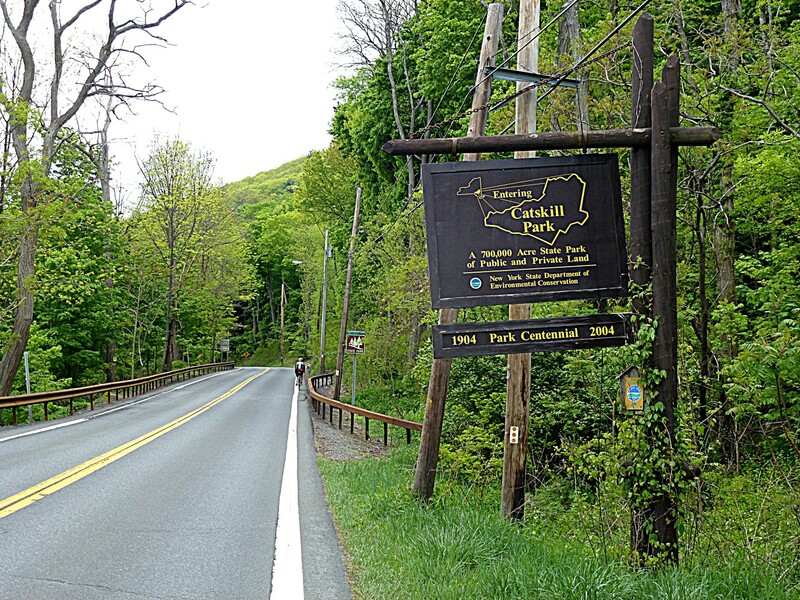 At Palenville, we headed back west on Route 23A and into Catskill Park. 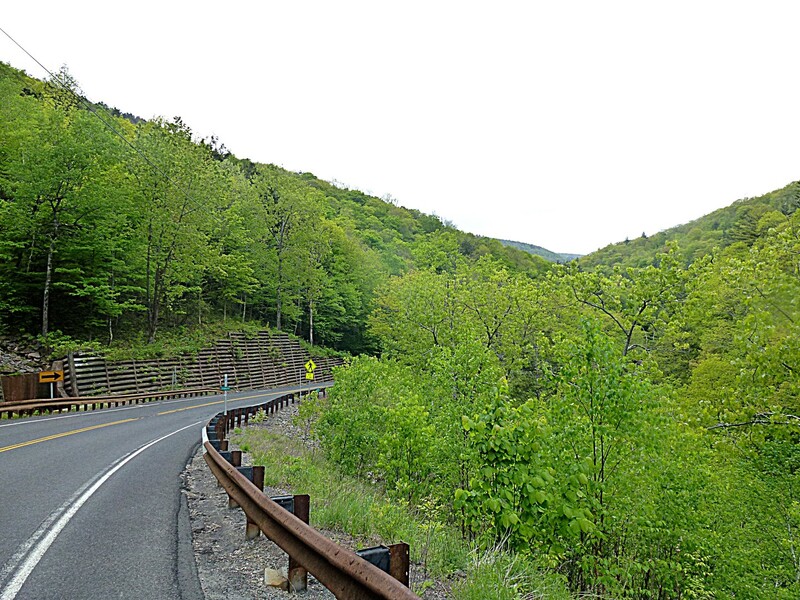 23A will take you past Kaaterskill Falls (which actually isn’t visible from the road, at least from what I could see). 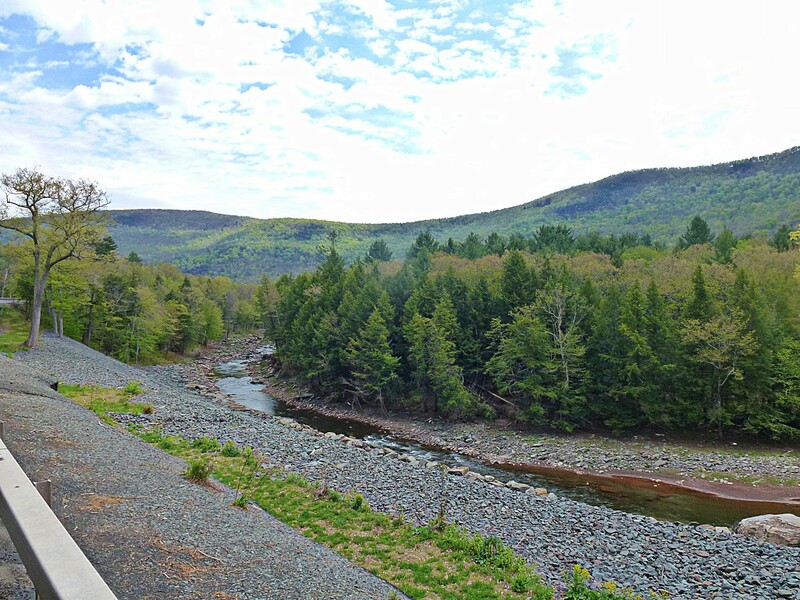 This picture is of Kaaterskill Clove. I should have taken a picture a little earlier, but Doug assured me that there was a good view from this bridge. Well, this is what I got. About here, my GPS died. Permanently. I think the rain on last week’s ride might have been a little too much for it to handle. This will be the third Garmin I’ve been through in five years. Is it too much to ask that a device intended for outdoor use be waterproof? Garmins are just awful…not only the construction, but also the user interface is something straight out of 2002. If there were any choice in the matter I’d use a different device. I have a Garmin 810 coming in the mail. 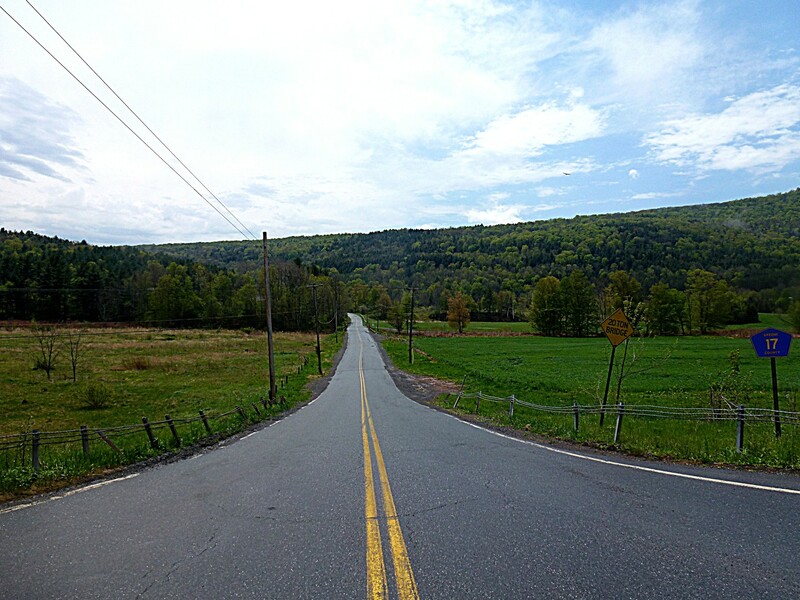 The ride up to Palenville is nice—it’s full of rolling hills and you can keep up a high speed. But when you turn onto 23A, things get interesting. 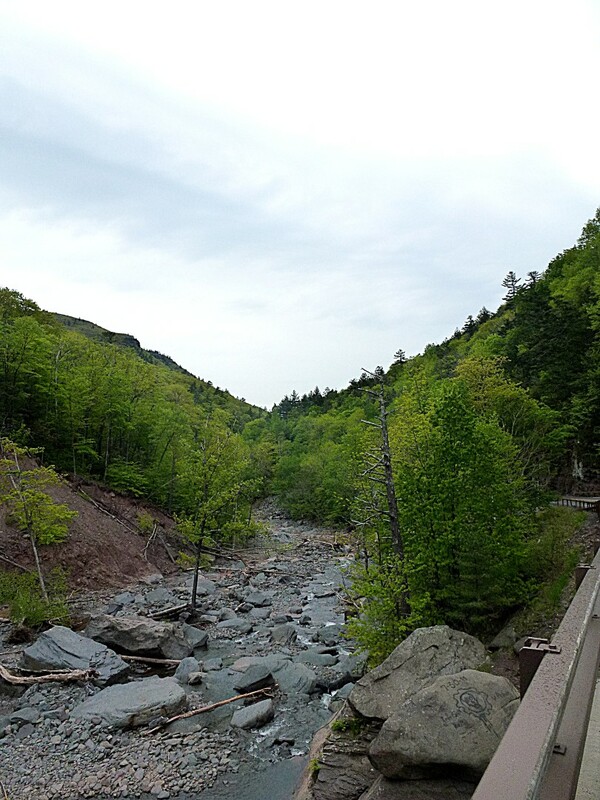 There is a massive, extended climb up from about 500 feet to 2570 feet, full of twists, turns, scenic views, and waterfalls. You’re basically doing the same climb as Platte Clove, just a few miles north and much more extended. 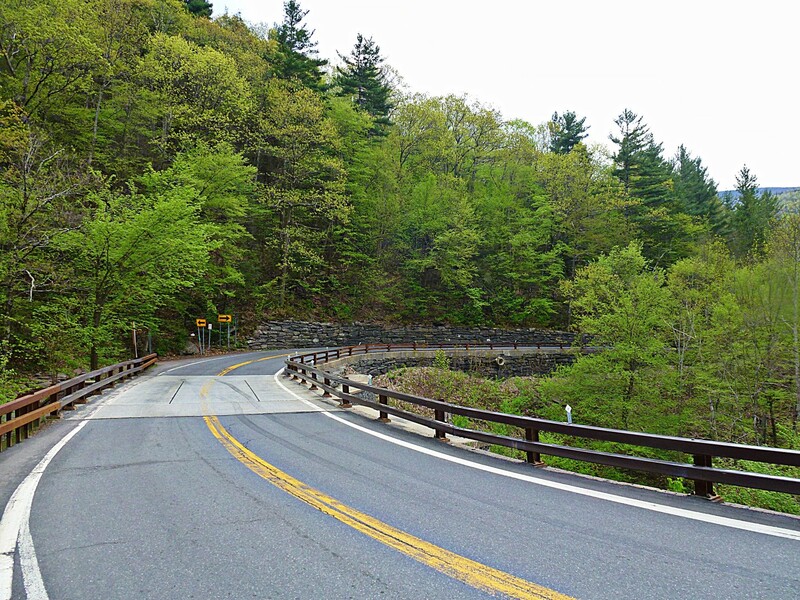 As a side note, this is a genuine Cat 1 climb–one of the few on the east coast. 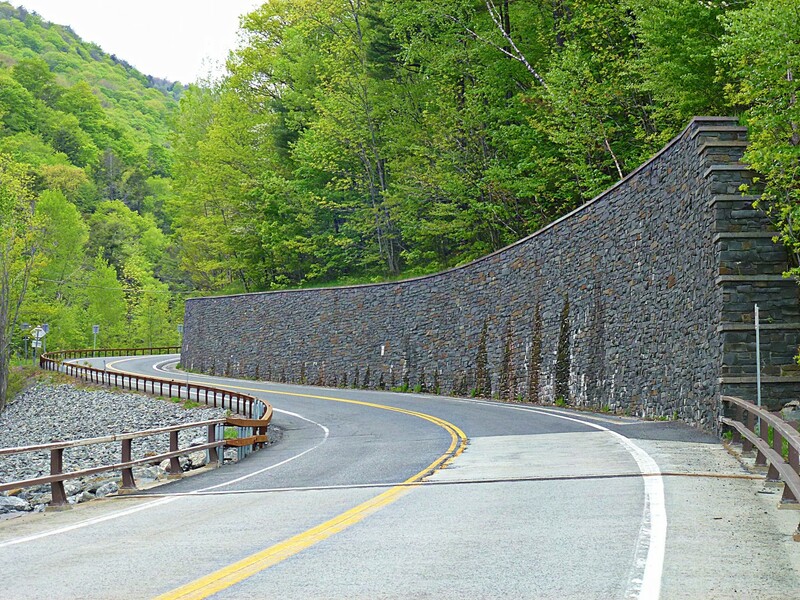 There are lots of climbs that are much, much harder, but this one combines steepness and length in a way that makes it a Cat 1 climb. The morning of the ride, I agonized over what to wear. I didn’t want to dress for rain and cold temperatures, and I almost left the house in nothing more than a jersey, one light underlayer, arm warmers, and shorts. At the last minute, I turned around and put on tights, a winter jersey, and my Castelli Radiation jacket, albeit without the snap-in space blanket liner. When we left Doug’s place in the morning, I was sure that I was going to fry. As it turned out, it was a very good choice, because by the time we got to the top of 23A, it started raining with wind gusts of 20-30 mph and the temperature dropped to the low 40s. On one descent, I actually had to slow down because my hands were going numb. 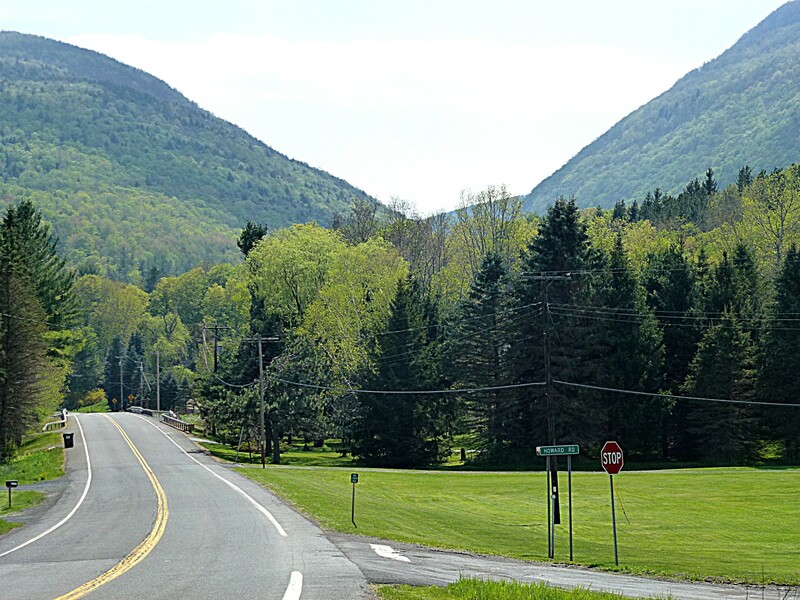 We continued north in the freezing rain and wind in the high Catskills, passing through a number of tiny towns—Jewett, Ashland, and Red Falls, before rejoining 23A to head south. But first, we took a detour up to a diner in Prattsville—a town on a river that was more-or-less completely destroyed during Hurricane Irene. I didn’t take pictures, but the town is still a mess, particularly west of the road next to the river. 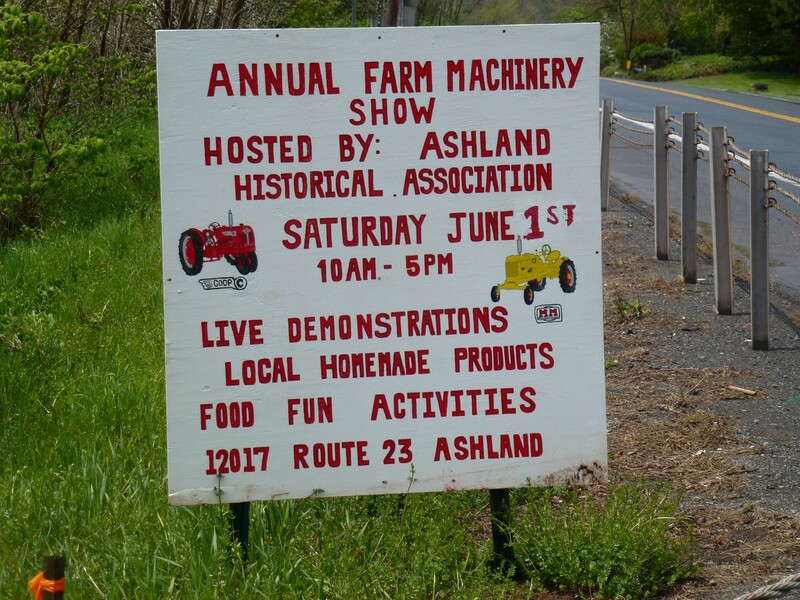 We arrived too early for the annual farm machinery show, I regret to say. 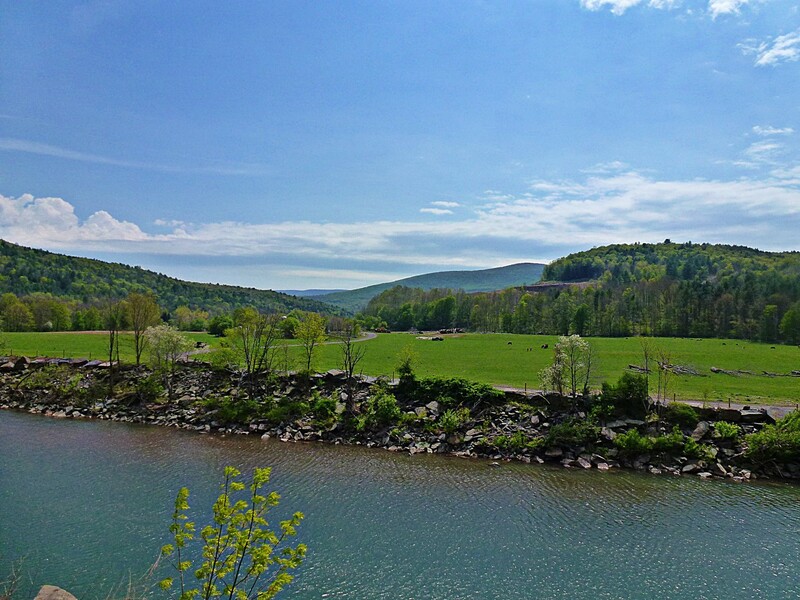 From there, we headed back south on 23A, crossing the river at Lexington to continue on Route 42. 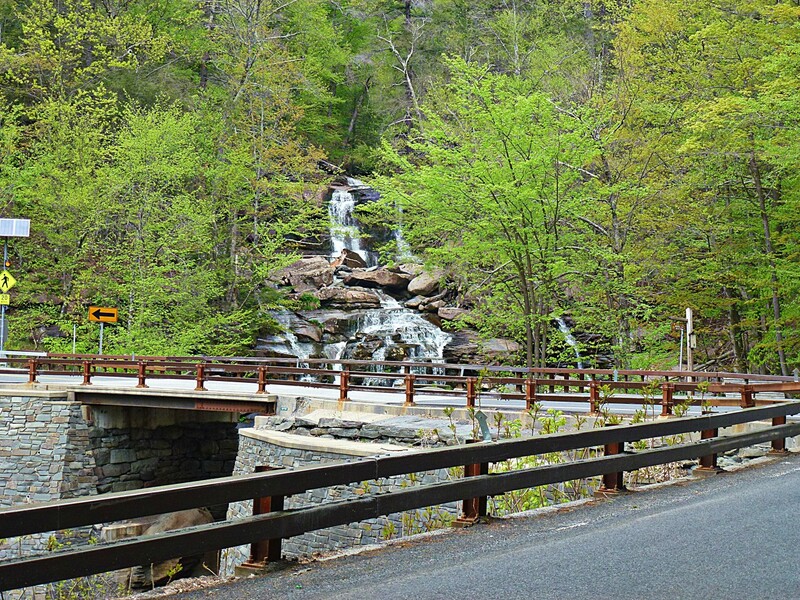 Route 42 passes through some beautiful country. Unfortunately, this section of the ride—which was supposed to be easy—was plagued by 20-30 mph headwinds. We barely touched 15 mph, even on downhill segments. Between the climbs and the death march into the wind, I messed up my knee. The wind acted as a blow drier, though, so eventually I dried out. After the ride, I looked at my saddle, and I realized that my Brooks Swallow was undergoing its annual irrevocable collapse, which lowered my position by almost a centimeter. Hence the knee pain. Garmin and Brooks should get together to make a leather-covered GPS unit that breaks down after a year of use. If I had any choice in the matter I’d use anything but a Brooks Swallow, but that’s the only saddle that works for me. A few more pictures of this segment. Once we hit 28, Doug and I parted ways. He headed back to Woodstock, and I rode home to Olivebridge. At this point, my knee was really hurting, so I was going slow. 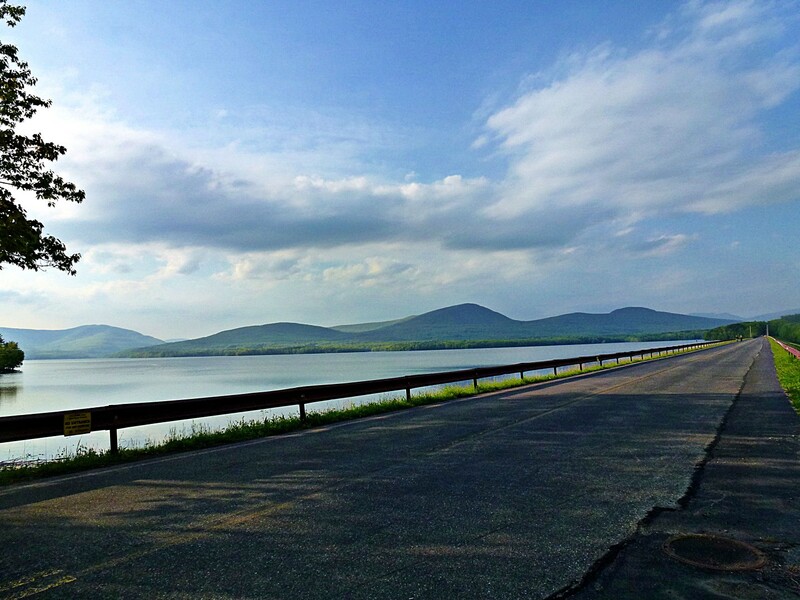 I took a break only about 8 miles from home, at my favorite spot on the Ashokan Reservoir. Two teenage girls complimented me on my bike, but in retrospect I think they were being sarcastic, because it (and me) was covered with a thick coating of muck and mud. The last leg was tough, and I actually walked my bike up a little hill near my place because I didn’t want to further stress my knee. When a car passed, I bent over like I was fixing something. So embarrassing. 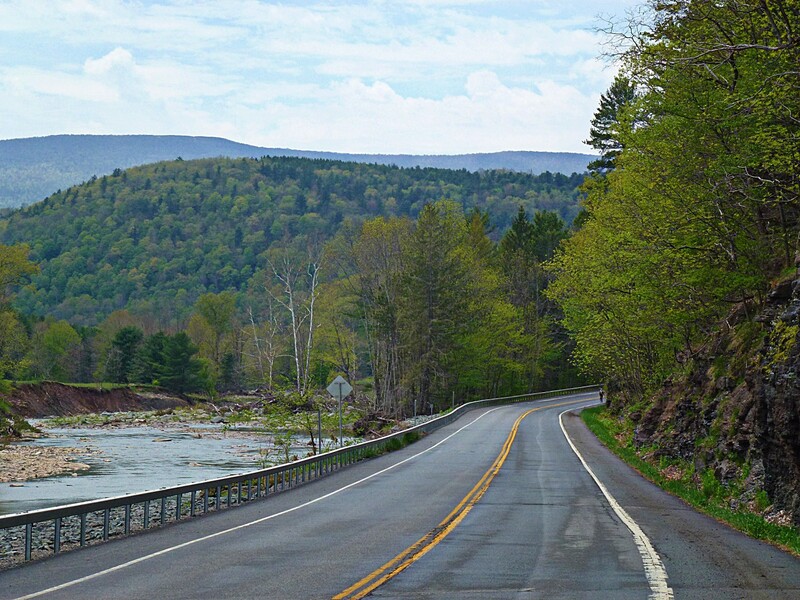 Although it isn’t really feasible from Poughkeepsie, this route is definitely worth the trip if you can make it out to Woodstock for an overnight. 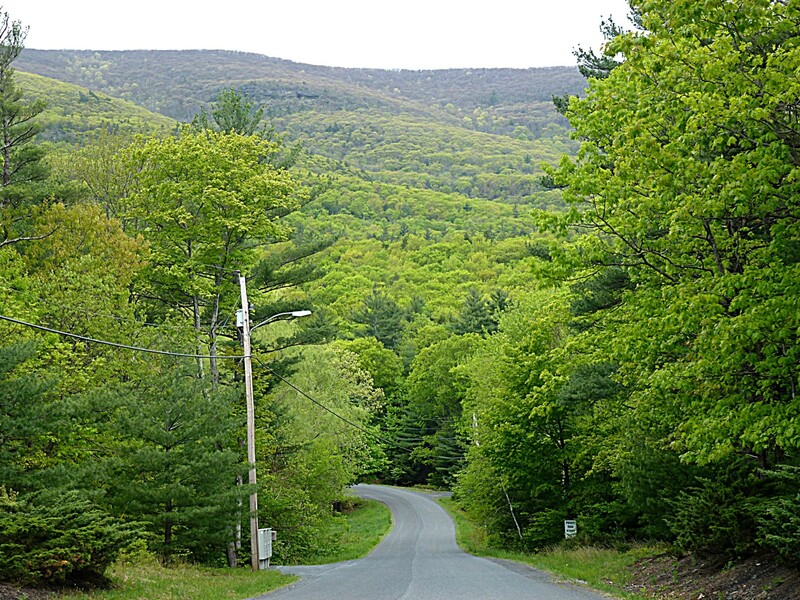 You get a couple great climbs, absolutely gorgeous scenery, and long downhill segments (hopefully you won’t have to battle a headwind). Nice work, Doug! 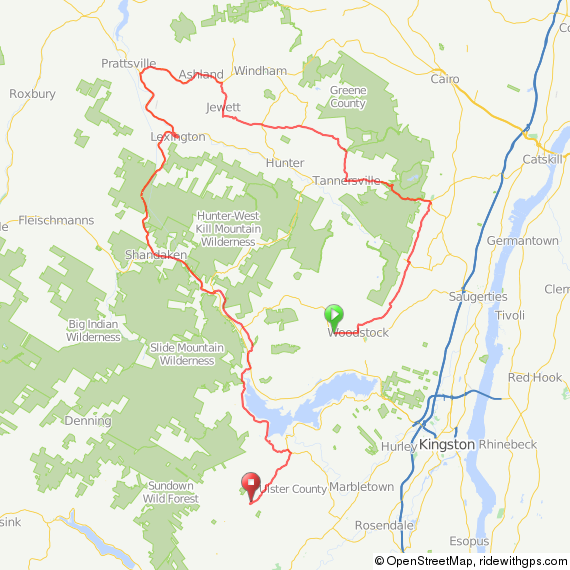 I’m taking a few days off the bike so my knee can fully recover, and then this week I’m going to do daily 15 or 20 mile rides.I am particularly annoyed because I had planned on doing a 400k in New Jersey this weekend (in fact, I would be finishing it up right about now). Although the knee pain is probably attributable to the saddle collapse, it also—in part—might be a case of spring knee. I’ve really overdone it the past few weeks, riding well in excess of 200 miles a week. Not a big deal in the flatlands, but when 250 miles means 20,000 feet of climbing or more, it isn’t easy on your body! I’m also strongly considering lowering my gearing considerably—although climbing these hills in 34-27 isn’t a problem aerobically, it is clearly causing undue wear and tear on my joints. Maybe I’ll ask Rob English to put a mountain bike derailleur on the 650B he’s building for me…34-36 would likely cause a lot less stress. Oh, and some news. 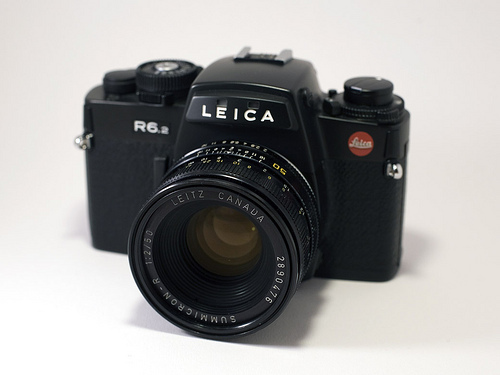 I bought a Leica R6.2, so I’m taking photos with gen-u-ine film now. Now I can annoy my riding companions even more with extended stops so I can manually adjust my shutter speed and aperture before snapping a photo! Film photos coming to a blog near you soon. 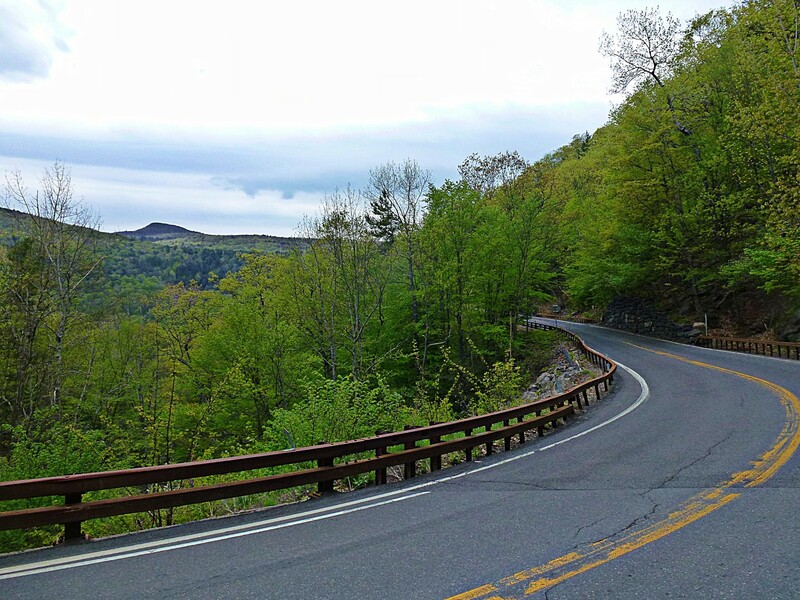 This entry was posted in bicycles, catskills, rides, routes, Worth the trip and tagged catskill park, Catskills Cycling Bicycle Routes, Cycling photography, route 23a on May 18, 2013 by John Ferguson.